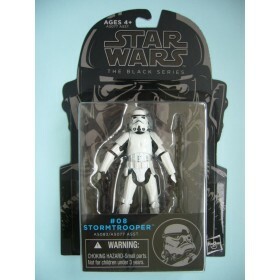 From Hasbro's 6-inch Black Series comes this assortment of 6 highly detailed action figures. Each figure stands approx. 15 cm tall und comes in a window box packaging. 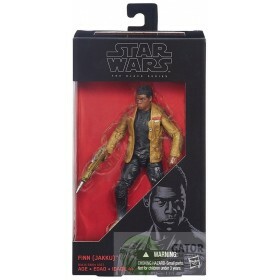 From Hasbro's 6-inch Black Series comes this exclusive action figure. It stands approx. 15 cm tall and comes with accessories and base in a window box packaging. 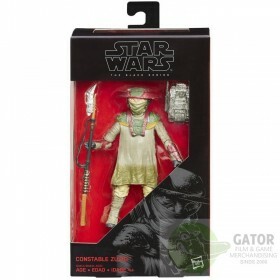 This figure is about 10cm in height and is new in its sealed packaging. € 89,00	Available for pre-ordering, you can order this item now and use the pre-order page in the payment section ! You will get a message once this item is in stock. Here's your chance to own a great set of figures This is a hard to find item. . It's a must have for the serious Star Wars collector. To celebrate the beginning of the Chinese year of the horse, Hasbro released this exclusive supreme-sized Starscream action figure. It stands approx. 36 cm tall and comes in a window box packaging with opening lid. Hasbro´s larger ´Black Series´ brings us our favorite Star Wars characters as 6-inch (15cm) action figures in a cool, new black package design.Each figure comes in a window box packaging.